Hello love ones, sorry that it took so long for me to announce the winners as I'm really busy these few days. 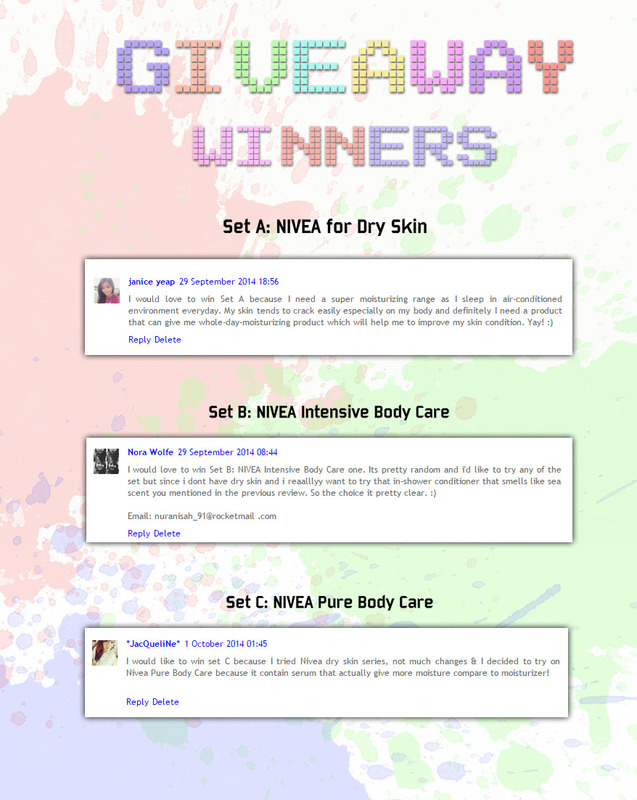 This post is to announce the winners that took part in the NIVEA Body Care products. I have 3 sets to give away to the readers and all of the products are in full sizes. Bravo to winners who completed all the tasks in the giveaway and congratulations too! For more details on NIVEA In-Shower Skin Conditioners, feel free to read my review on it here or receive updates from NIVEA Facebook.